“Much kudos to the companies providing businesses with on-hold music and messages” is something I would’ve said in 2006. These days, waiting on hold is so six years ago. Fast Customer allows you to skip the on-hold process by one-clicking the company you’d like to connect with. The app has hundreds of companies in their database, so you just find the one you want to call, tap on it, and that’s it. A few minutes later your phone will ring and a customer service representative will be on the other end, ready to help you solve your problem. Sometimes smartphones aren’t all that smart, especially when it comes to zipped files. There’s something wrong with having to rush to your desktop to open up an email just because it has a zipped folder attached to it. 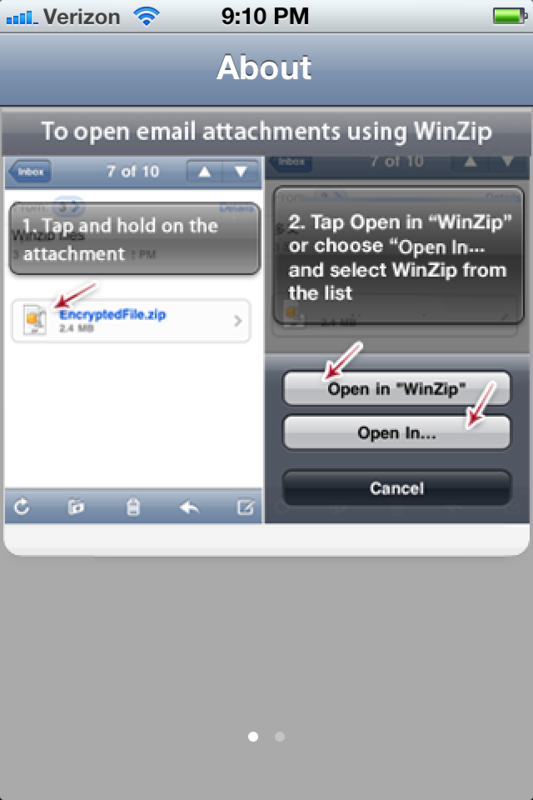 Wouldn’t it be swell if you can unzip files while on-the-go? Meet WinZip. 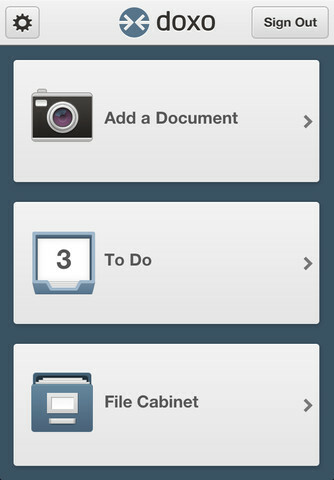 This neat, little app will give you the ability to decompress and view zipped files. The best part? It does it well and it does it fast. Every billing company in the world begs you to go paperless. Some will offer you entry into a contest if you activate paperless billing, while others give you cash back. The reason is obvious: Paper costs money. Of course, no company will say this. You’ll usually be given the “Save the trees!” excuse or maybe even the “Paper causes clutter!” angle. Personally, I like receiving paper since I have a harder time forgetting that a bill has to be paid. The problem with receiving envelopes and bills is that if you want to save your bill – it, surprise, causes clutter. That’s where doxo comes in. Think of it as your free digitial filing cabinet. Snap a pic of the bill, add the appropriate information, upload the content, and then file it away. You’ll be able to access your “paperless” bills from any device. If you’re feeling chipper after all that, go plant a tree. Which gas station in your area has the cheapest gas? How can you avoid the I-just-filled-up-on-gas-here-and-saw-gas-for-cheaper-down-the-block feeling? With gas prices on the rise, you need a buddy. (Yes, I went there.) 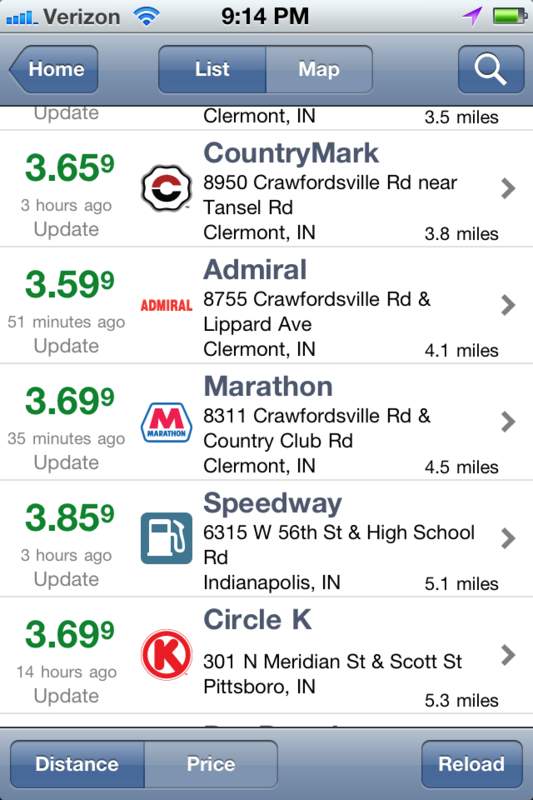 GasBuddy users all over the country are constantly updating stations’ gas prices so the information is always up-to-date. If you do not like saving money, this app is not for you. Ever get a phone call from an unknown number, miss it, and you’re left scratching your head as to who was on the other side? We’ve all been there. With Number Guru, you’ll have the answer you’re looking for. 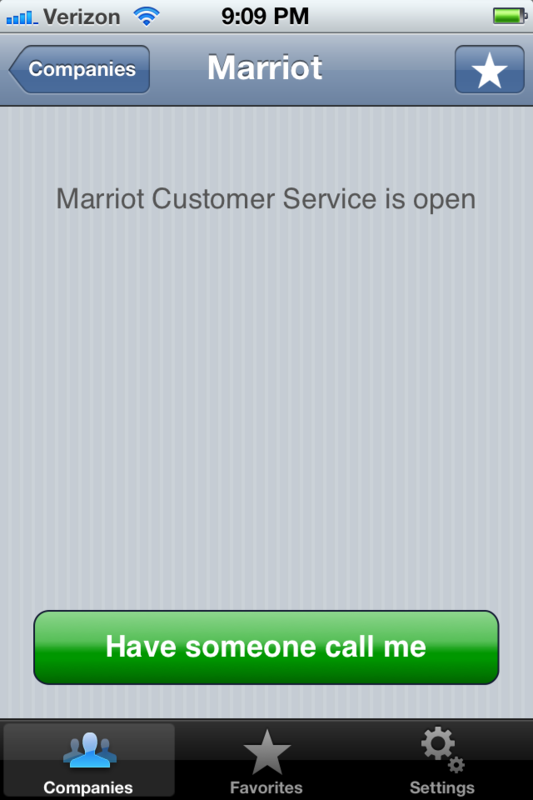 Simply insert a phone number, hit “Go” and it will spit back the owner of the once-unknown phone number. 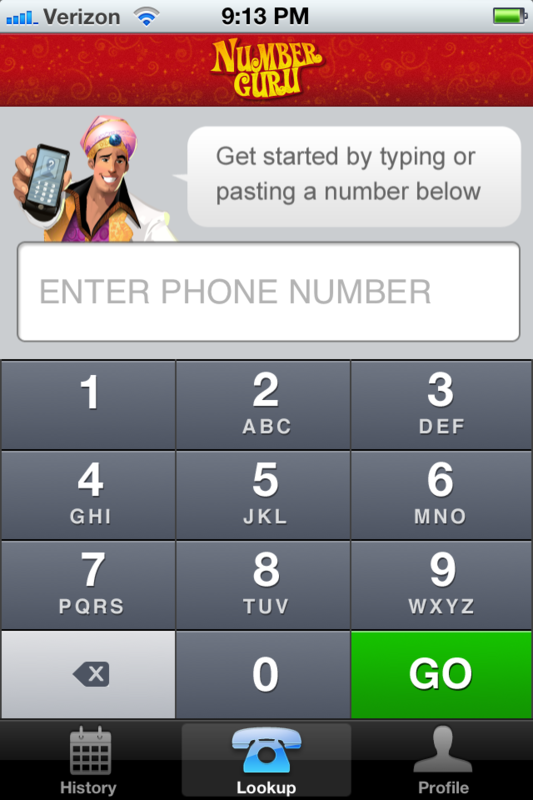 It works for landline digits, as well as many mobile numbers. It’s not rocket science, but it comes in handy. RIP, BlackBerry. I’m getting an iPhone tomorrow. I can’t think of two better words to describe my over 4-year roller coaster ride with BlackBerry. Tomorrow, everything changes. I’m getting an iPhone 4S. It has been a long time coming. I’ll be the first to admit that. For whatever reason, I have defended my BlackBerry to the death around friends and family. I would often turn a blind eye to the incredible things iPhones/Droids can do because I didn’t want to know what I was missing. This wasn’t tough to do for most of my stint with BlackBerry. The iPhone was never an option for me because Verizon didn’t carry it. Droids hadn’t yet bursted into the mobile scene. However, the past two years have been rough. Real rough. I’ve already received criticism for my timing in making the jump to an iPhone. “Oh, dude. You gotta wait until this summer for the iPhone 5.” My response to that sentiment is this: Apple is like a never-ending game of double dutch. They will be churning out new, amazing gadgets until the end of time. At some point, you just gotta jump in and skip that rope. As a way of giving my BlackBerry a proper “burial”, I’m going to take a quick look back at some of the things I love and hate about my dinosaur of a smart phone. I’ll also point out some concerns I have as I transition to an iPhone, as well as some things I’m excited about. Buttons. I really enjoy the feedback that a nice button click gives you. Lets you know it’s there. BlackBerry Messenger. Even though I only have 7 BBM contacts left, it’s a great messenger. Lightning fast. E-mail. I have all the confidence in the world that e-mail on an iPhone is every bit as good, but BlackBerry does e-mail so well. The browser. It is absolutely brutal. If the site I’m visiting isn’t a mobile version, it’s game over. Mail it in. You are not going to have a pleasant browsing experience. Lack of apps. BlackBerry does have “App World”, but it should probably be re-named “App Third World”. It’s a joke. Nine times out of ten, BlackBerry users are left in the dark when it comes to cool apps. iPhone/Droid users get all the app love. Having to pull out my battery at least two to three times a day. My BlackBerry bogs down to the point where it becomes unusable, with a battery pull being the only remedy. Then, it takes FOREVER to boot back up. Boy, I will not miss those battery pulls. Touchscreen. I’ve never had one. I’m sure I’ll get the hang of it, but it’s going to take some time. Autocorrect. This scares the daylights out of me. If you know me at all, you know I’m a huge grammar Nazi. The thought of the grammar wheel being taken out of my hands actually keeps me up at night. I’ll just need to pay even closer attention while texting/tweeting. Battery life. It can’t get much worse than my BlackBerry, but I would consider myself a smart phone “power user”, so I hope the battery life on my iPhone is at least reasonable. A huge, beautiful screen. The difference between the screen of my BlackBerry Bold and my future iPhone is like making the jump from a 32″ tube to a 60″ HD flat screen. Apps, apps, and more apps. I can’t wait to school everyone I know in Words With Friends (not available on BlackBerry). An awesome camera (which will make for better TwitPics, of course). I vow to never join Instagram (I couldn’t care less about that cup of coffee that you just turned artsy), but I am really looking forward to hi-res camera photos I can be proud of.